The HTC Vive is my favorite VR headset of the past year as it provided great room scale experiences and incredibly accurate motion controls. Compared to the Oculus Rift, it has a few shortcomings and HTC has remedied one of them with the release of the HTC Deluxe Audio Strap. The HTC Deluxe Audio Strap replaces the velcro bands on the sides and top of the HTC Vive with a more rigid component. 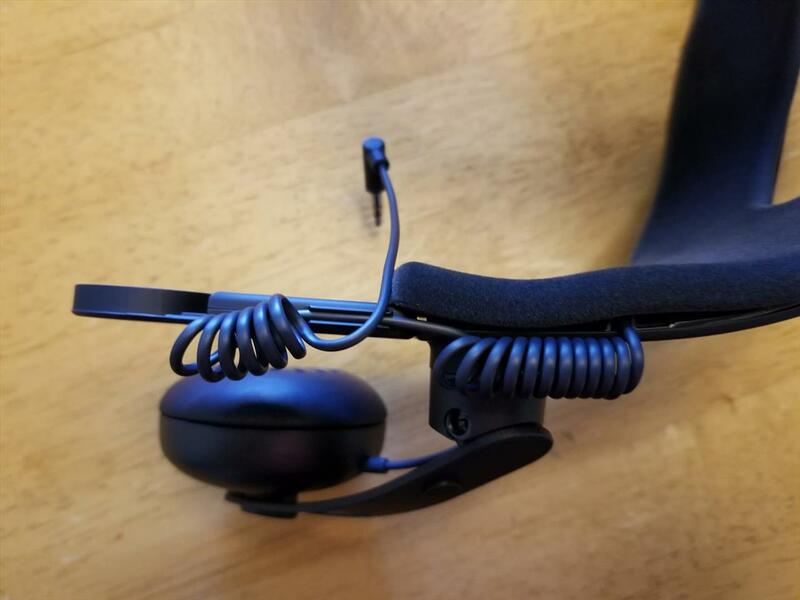 One of the problems with the Vive’s head strap is that it can tend to stretch over time and it can be a pain to take off or put on quickly. The Oculus Rift and the Sony PlayStation VR both have more comfortable setups, but HTC decided to up their game with the Deluxe Audio Strap. When you pick up the Deluxe Audio Strap, you’re given one solid headgear setup that attaches to the current Vive. 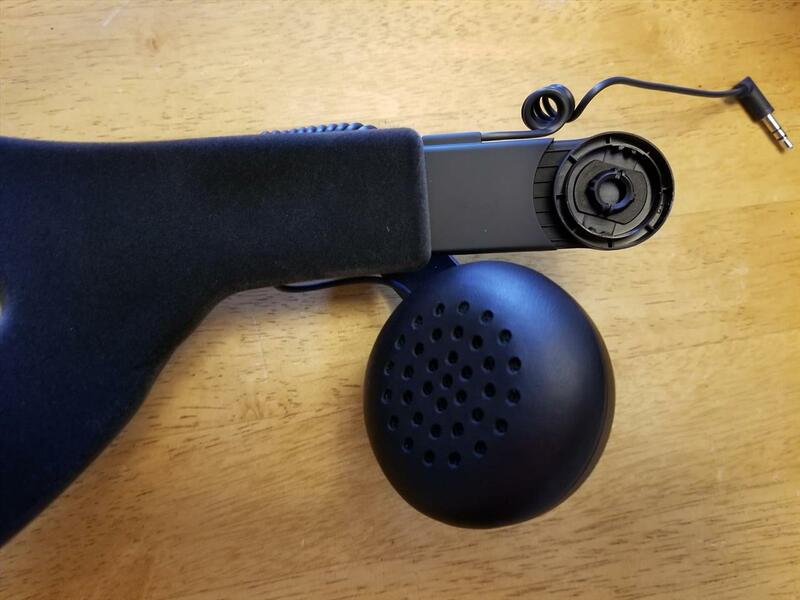 It attaches to the Vive on either side where the round connectors along with the top strap going through the ring where the old strap also goes through. The wire flows from the top, to the side, then out the rear so the cable is in a better position to be out of the way. Installation was pretty simple, but you have to be careful taking the old straps off the round connectors. I’ve seen a few folks break the inside of them, rendering the ability to attach it impossible so make sure to follow the instructions and take your time removing the old strap from the HMD. The rear part of the Deluxe Audio Strap sits on the back of your head and it’s a solid component. Just put it on and use the dial on the rear of the strap to tighten or loosen the fit. 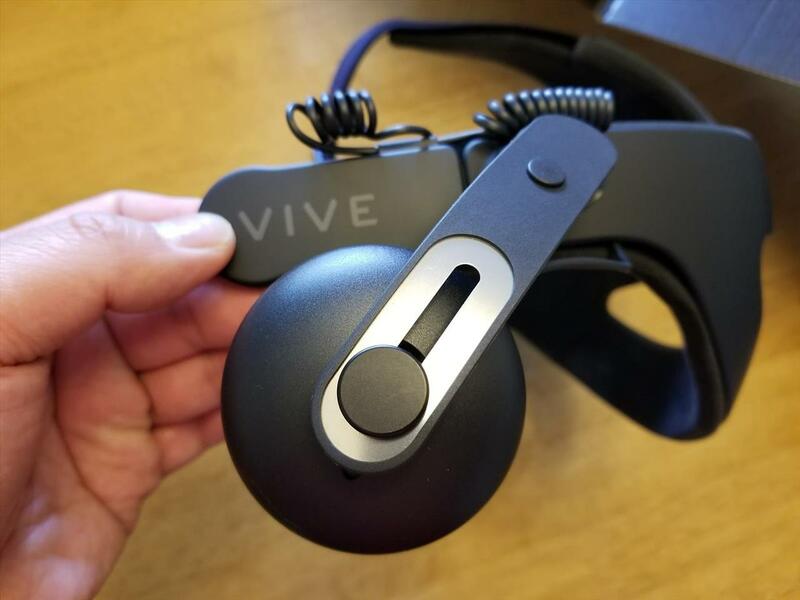 You can stretch the Vive from the strap forward a little as each side is spring loaded. 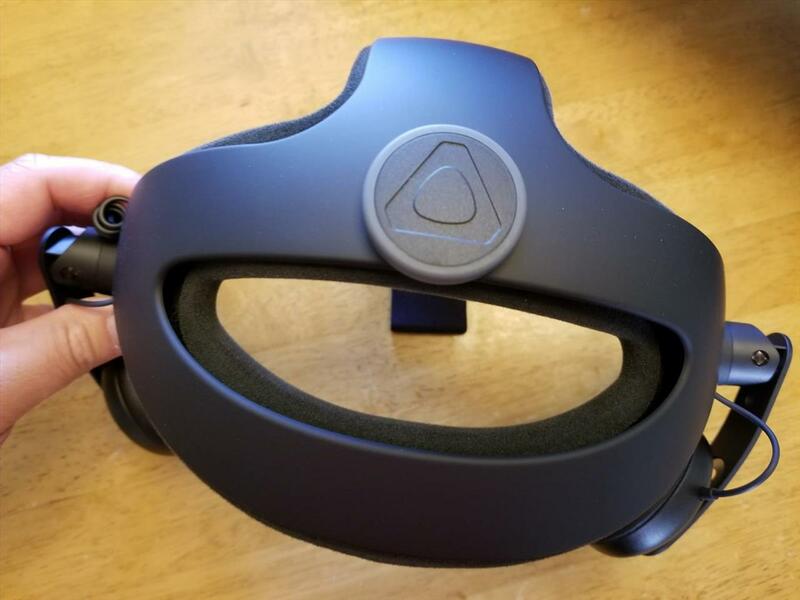 This allows you to slip on the Vive more easily now as once you have it tightened to your specifications, you can just pull it forward a little and slip it on or off. 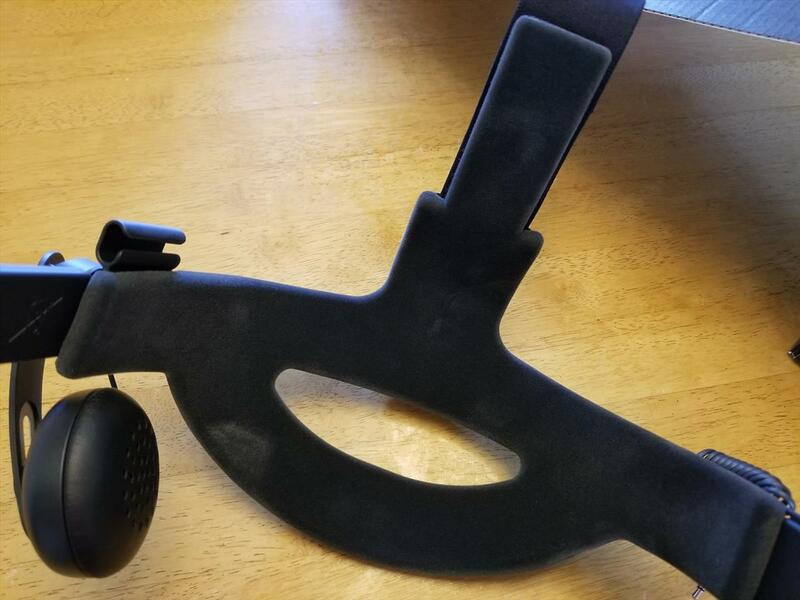 The rigidity of the setup allows the strap to take a lot of the weight of the Vive off the front of the face and moves it to the top and towards the back of the head. With how it sits on the head now, it’s a ton more comfortable than the original straps. And since it’s a solid setup, you don’t have to worry about it stretching during usage. I found I didn’t adjust it nearly as much as I did with the original straps, sometimes at all. Sure, it can still get out of place a little on highly active games, but it does a much better job at staying in its place. 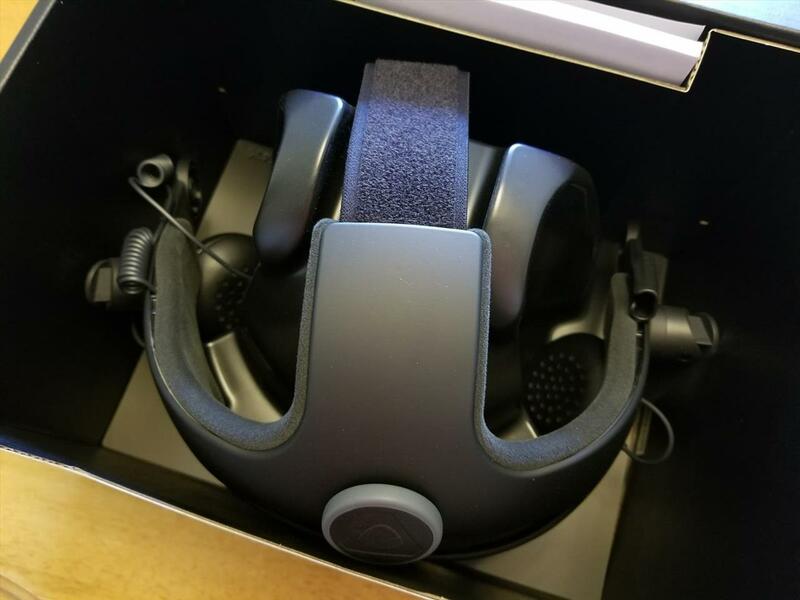 The Oculus Rift setup has a nice built in audio solution and while the HTC Vive included ear buds originally, the quality and comfort just didn’t measure up. The HTC Deluxe Audio Strap has adjustable ear cups on each side, which offer a much better audio experience. The ear pieces can be flipped out, slid up and down, and rotated to sit on your ear based on your preference. While they only lay on top of your ears, the isolation of outside noise was still pretty good. And I was pleasantly surprised at just how good the headphones sounded. Good highs and solid lows, the headset’s audio performed really, really well outside of a good bass. If you are particular to your own set of cans, you can remove the ear pieces and use your own. You’re not forced to use the built in headset, but you can if you want to and I suspect a lot of people will just because it’s convenient and they sound pretty solid. For those that picked up the Deluxe Audio Strap when it was first released, you might find some residue coming off the rear padding. It should stop after a while and it doesn’t mean that your strap’s padding is falling apart. If you are experiencing this, HTC will send you a replacement pad that won’t flake off an subsequent builds had this flaw fixed. It’s something that should’ve been caught by QA, but I’m glad to hear HTC is making good on this issue and that it’s not really that big of a deal in the long run. 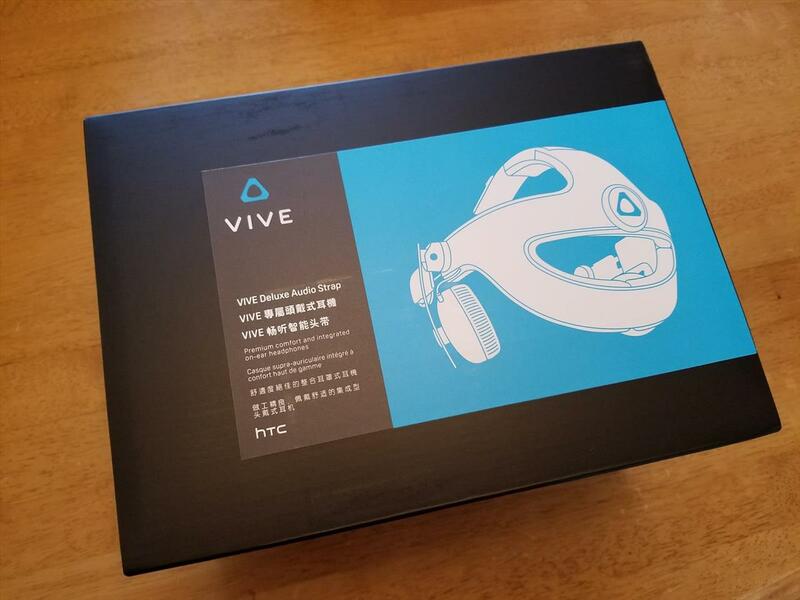 I really wish HTC had these as part of the package when the Vive was first sold. It does make wearing the HMD on your face a lot more comfortable as well as allowing for easier removal and making it a more secure option than the original straps. Unfortunately, this is still a separate purchase and at $100, it’s not an inexpensive attachment. It certainly makes the HTC Vive a lot better to use though so if you’re wondering if you should upgrade to it, I would say it’s a definite yes. HTC's Deluxe Audio Strap is a great addition that makes the HTC Vive more comfortable to wear as well as providing some solid headphones to use. It's too bad it's not part of the original package and you have to spend extra to get this strap whereas the competition have better straps in their original packages.